The chapter, which is the crux of the book, is dedicated to the implications that emerge considering the landscape as an “object” of planning. This is the in-depth analysis of 4 case studies in Italy and of comparative case studies in Europe: this choice is precisely part of a wider discourse on the evolution of the consideration of the landscape within the urban practices. 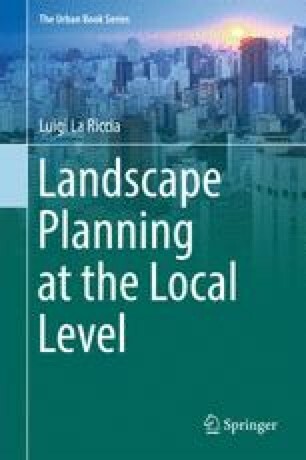 Some fundamental paradigms of the landscape (historical, morphological, ecological, perceptual) suggest in part the periodization which has determined the comparability between the selected cases, on the one hand, by exogenous factors to urban practices (economic, social dynamics, political, cultural, etc. ); on the other, by elements within the specific planning tool, i.e. the ability of a face, using its “technical structure”, the landscape issues. Hence each case under consideration has not been identified in one plan, but refers to plans drawn up at different times, following the changing of city conditions. This is the case then of Assisi, in 1958 and 1969; Urbino, in 1964 and 1994; Reggio Emilia, in 1994 and 2007; Bergamo, in 1997 and 2010. These case studies are identified considering their basic approaches, experiences so positive towards the issue as unique in the context of the Italian planning, highlighting common lines of integration.